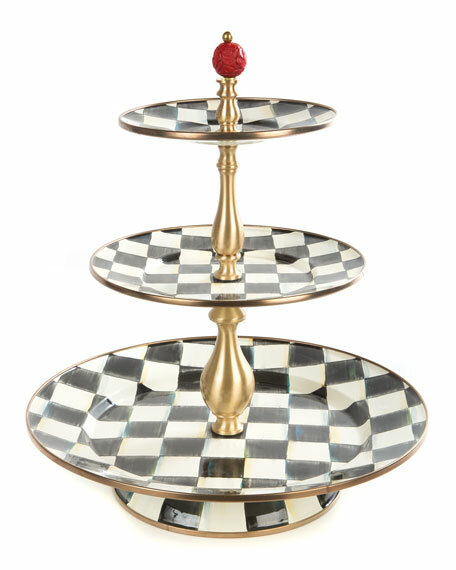 Sweet stand made of 12-gauge enameled steel and brass with a bronzed stainless steel rim and wood ball finial. Hand painted with a subtle jewel-tone palette woven through glossy, hand-painted, high-contrast checks. Due to the nature of handcrafting, stands may vary.